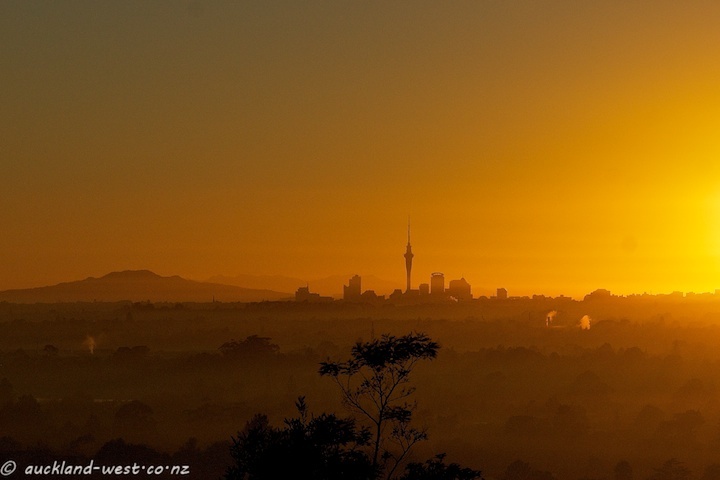 Auckland City bathed in the golden glow of the morning sun, Rangitoto Island on the left. Fine mist hugs the ground just after sunrise. Seen from Waikumete Cemetery.